My girl Heather Frampton sent me this from her mobile phone. 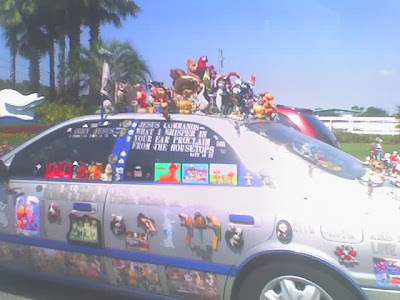 It’s a crazy religious car–there seem to be a lot of them in her home state of Florida. Wow. Thanks for thinking of me, Miss Heather!